Look who’s on the cover! In a simple twist of fate (we know the editor and she asked for a sailing photo) Capt. 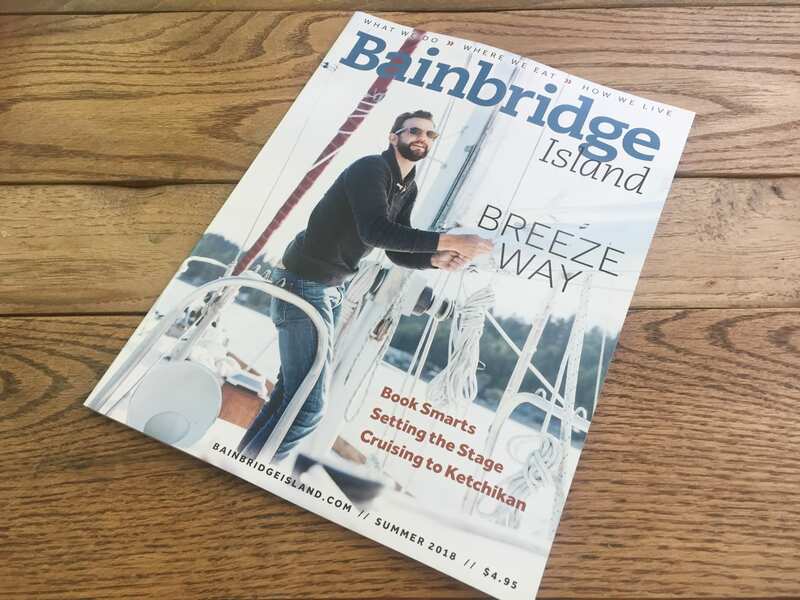 Ben is on the cover of the summer edition of the Bainbridge Island Magazine. An event that is sure to bring fame and riches beyond his wildest dreams! But, in all seriousness, we’re honored and think it’s super fun. Get your copy or read online here! Ps. There’s no story inside. They just liked the photo.